the original folded card with another smaller folded piece with the image on it. Then, the way you put it together, it unfolds twice to show the sentiment inside. 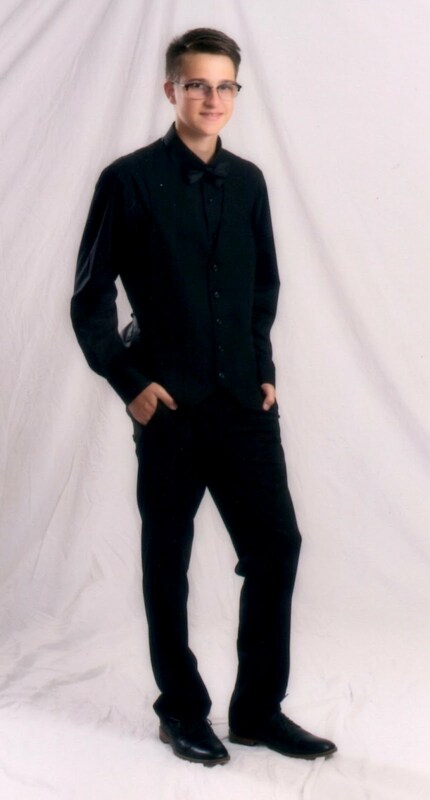 It was easy to put together and a fun, different look. 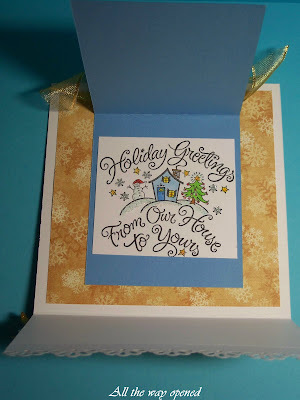 I used Graphic 45 designer paper on a white card. The border punch is by Martha Stewart. The image is by Impression Obsession. The sentiment is an old Hero Arts stamp. Flowers are Prima. I placed the flower on a dimensional so that just the corner catches the edge of the top flap so it holds it closed. Hope you have time to make a Joy Fold card. Ohh Sue,what a beautiful card,i love your image and colours. Have a goog week Sue! great card Sue ... will have to try this joy fold ... thanks for sharing. 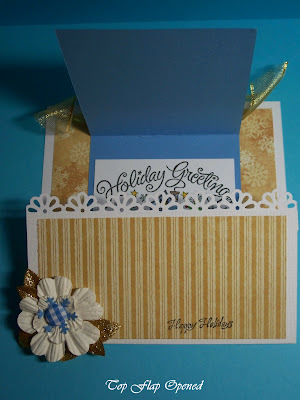 I love this style of card and in fact did some for Christmas this year. Yours is beautiful! This is really pretty, Sue! I love the shades of blue and browns together! I have got to get my act together & start mine. I have not had a chance to run over to BSS but hope to do so sometime next week. Maybe I will get lucky enough to meet you Sue. Outstanding! 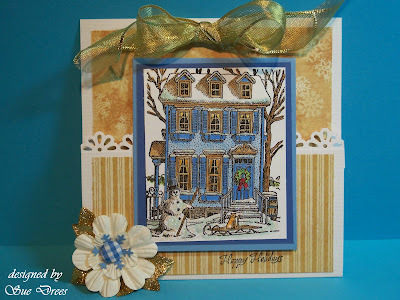 You made such a wonderful card with these great stamps...that house stamp is to die for! Great job. Sorry...I am just catching up on some of my faves before I head out this morning for vacation...have a great weekend! Stunning card. Love this style of card. Your coloring is beautiful. Love the unique fold.